AP Edcet 2020 notification, ap ed.cet application form 2020 : AP Edcet notification 2020 will release by the Andhra University on behalf of APCHE. ap edcet online application 2020 are invited from qualified candidates for admission into B.Ed colleges. Job seekers who want to settele for the job in teaching profession and willing to work must enroll them self for AP Edcet Notification 2020. Interested contender must submit the ap edcet application 2020 on or before — May 2020. 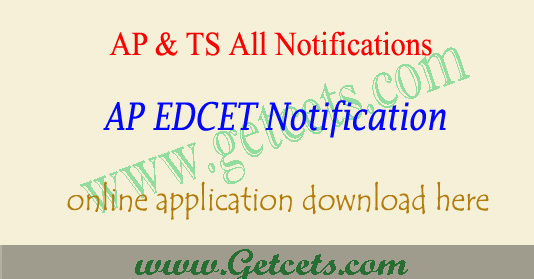 Candidates can check AP Edcet 2020 notification, ap ed.cet application form 2020, ap edcet apply online 2020 last date, ap edcet online application 2020, hall ticket, results and counselling dates through this article. Students who are looking for the admission into two years B.Ed regular courses in the Andhra Pradesh state can check out this latest AP EDCET Notification 2020. This notification is released for the academic year 2020-21 is organised by Andhra University. Eligible and interested candidates can submit their ap edcet online application 2020 from May 2020; the AP EdCET Apply Online link is available on official site www.sche.ap.gov.in/edcet. The AP EdCET Notification online applications are accepted un till May 2020. Eligible students can pay the registration fee of Rs 400/- to apply for AP EDCET Notification 2020.